Lawyers for a 10-year-old girl with cerebral palsy filed a federal lawsuit yesterday demanding the government release her from a children's shelter. The girl, who is in this country illegally, was taken into custody by Border Patrol agents after she received an operation at a hospital. NPR's John Burnett has more. JOHN BURNETT, BYLINE: The lawsuit, filed in San Antonio Federal Court, claims that Rosa Maria Hernandez has a constitutional right to be in her parents' care. The mentally and physically disabled child has lived in Laredo, Texas, with her mother and father, who are also undocumented, for the past 10 years. Her lawyer says Rosa Maria has never been away from home and never been in the care of strangers until now. She needed emergency gall bladder surgery at a children's hospital that was beyond a federal immigration checkpoint. So a week ago an adult cousin, who's a U.S. citizen, accompanied her on the trip. 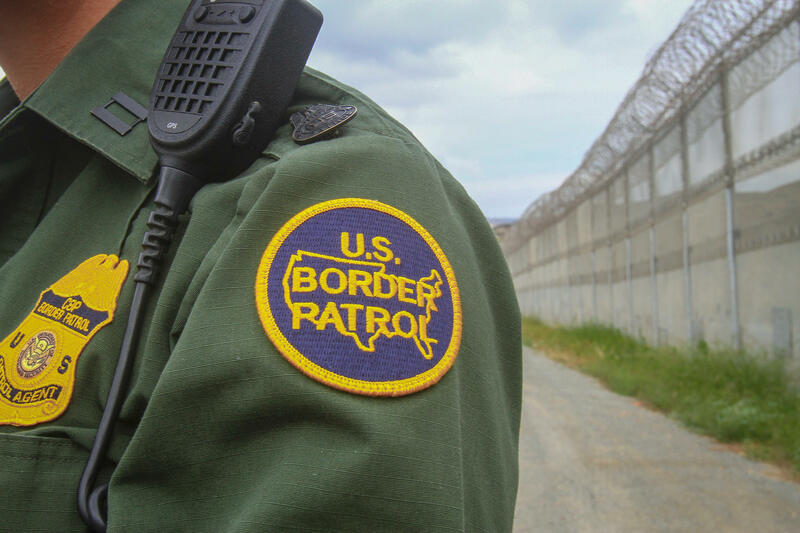 At the checkpoint, Border Patrol agents learned the girl was unauthorized. They took her into custody, followed her to the hospital and waited outside of her recovery room. When she was discharged, they took her to a shelter in San Antonio, where she's now in deportation proceedings. Gabriel Acosta, assistant chief patrol agent in Laredo, says his agents followed a 10-year-old federal law for handling a UAC, an unaccompanied alien child. They deemed her unaccompanied because her cousin is not a parent or legal guardian. GABRIEL ACOSTA: At that point it was our responsibility to verify the stories and ensure that this child was not a victim of trafficking. Once that was established then our agents, instead of processing there at the checkpoint, actually escorted her to the hospital. BURNETT: Acosta says his office has received hundreds of calls from outraged citizens referring to agents as thugs and worse. He's tried to explain their actions. ACOSTA: Our agents acted compassionately and professionally from the initial encounter until she was released to the care of Health and Human Services. BURNETT: Her lawyers argue that Rosa Maria was not unaccompanied. She has loving parents in Laredo. Further, the ACLU's Michael Tan says immigration agents were not required to do what they did. MICHAEL TAN: A line agent always has discretion to exercise his judgment and not target someone for an enforcement action. There really is no reason for Border Patrol to have gone after a 10-year-old girl with cerebral palsy while she was seeking medical care. BURNETT: Rosa Maria Hernandez's parents have applied to the agency in charge of her, Health and Human Services, to be named her sponsors so she can come back and recuperate at home. That process is expected to take two to three more weeks. John Burnett, NPR News, Laredo. Transcript provided by NPR, Copyright NPR.